TrackMaster toy trains take Thomas & Friends characters to greater speeds, taller heights and bigger adventures! Children can collect all their favourite engines to build a thrilling motorized railway full of action and excitement. 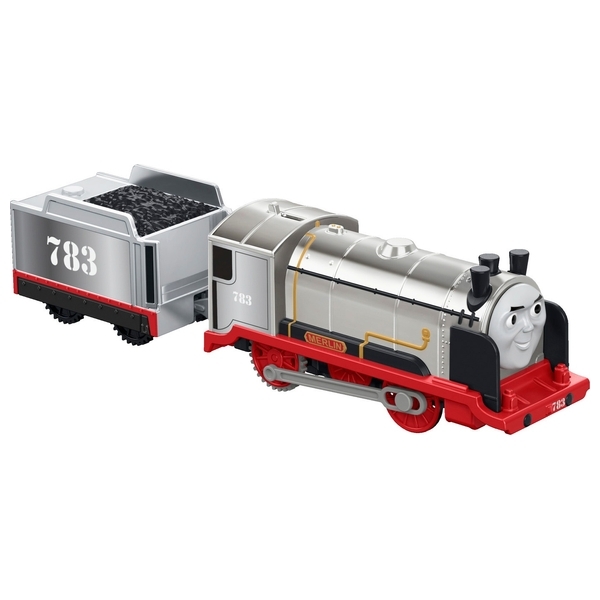 Inspired by the DVD movie, Journey Beyond Sodor (sold separately), Merlin The Invisible is a stealth engine who's designed to be hard to see. Now children can relieve their favourite moments with this unique character, or create new ones. Just flip the switch to see him race along on an exciting journey!